If Google’s tech is only at the level of handling US infrastructure then we are a very long way from widespread adoption. Anyone who has driven in the US knows how benign their roads are. If they think a 2 lane roundabout is a challenge, wait until they get to Europe! I will know the technology works when it can drive into and out of someplace like Rome at rush hour! One of Ericsson’s global Data Centres outside Stockholm (it was snowing). Yesterday I was at the opening of Ericsson’s new global data centre outside Stockholm. We were given a virtual tour of some of the building via an Oculus, and a real one through two of computer spaces. It was pretty impressive. Each of the computer spaces has a 4.5MW power capacity. And they can accommodate power densities of 10s of KW per rack (many legacy DCs struggle to go beyond 6-8 kW). 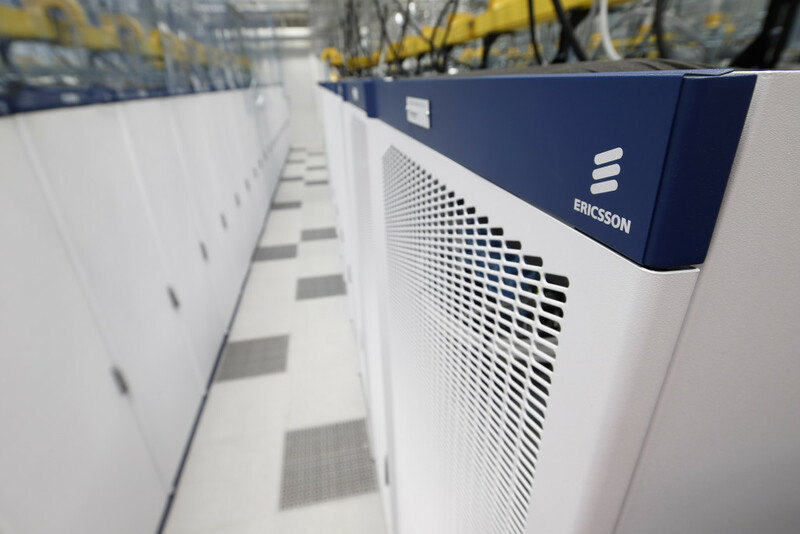 The overall site is 20,000sqm and is one of three new global ICT centres Ericsson is bringing online at the moment. Back when I started my career, my first job out of college was in a factory working as a process engineer and production manager for the production lines there. A decade or two later my work is all focused around Data Centres and what goes on (and into) them. In a lot of the ways I am back where I started. The industrial revolution gave us factories that built widgets that everyone bought. Even just twenty years ago your money would buy you real goods. Physical things you could touch and bring home. But now the greatest growth is in digital goods. Gamers pay for ad-ons like levels, maps, avatars, virtual weapons, clothing and vehicles. Children look for new apps for the family tablet. Music, podcasts, films, and books are streamed to billions of devices, and users never even hold a local copy. These are things exist only as 1s and 0s. And for the most part their existence is within a data centre somewhere. In the enterprise the office server room is dead and gone. IT infrastructure and workloads are all moving to clouds – private ones in for large enterprises, and the vast hyperscale public clouds for companies large and small. Data is the key asset class today. And the place where it is stored, manipulated, and value is generated from that data is the Data Centre. Which is why Data Centres are the factories of the 21st century. I am not making moisturizer cream any more, but I like to think I am not too far from where I was 20 years ago.